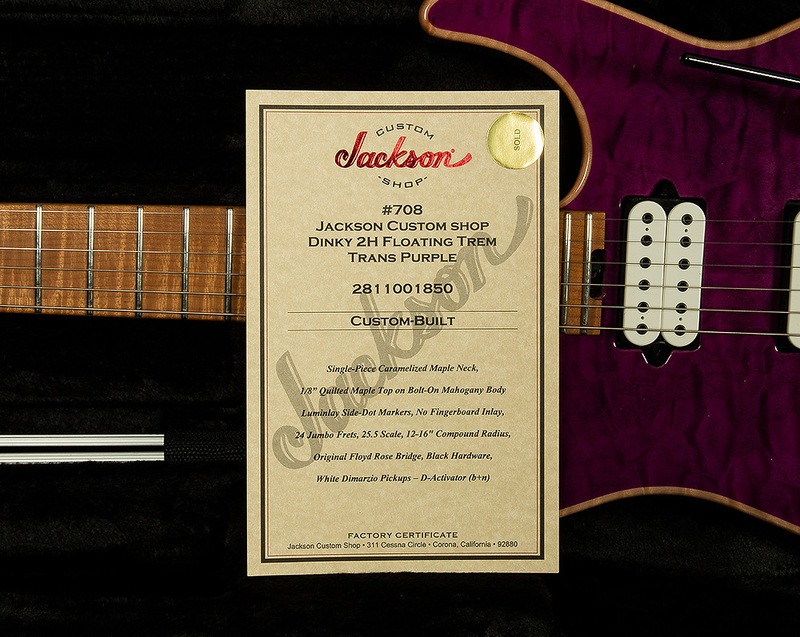 Wildwoodians, we are quite pleased to present you with our latest delectably shreddable piece from our friends at the Jackson Custom Shop: a trans purple Dinky with titanic tone! 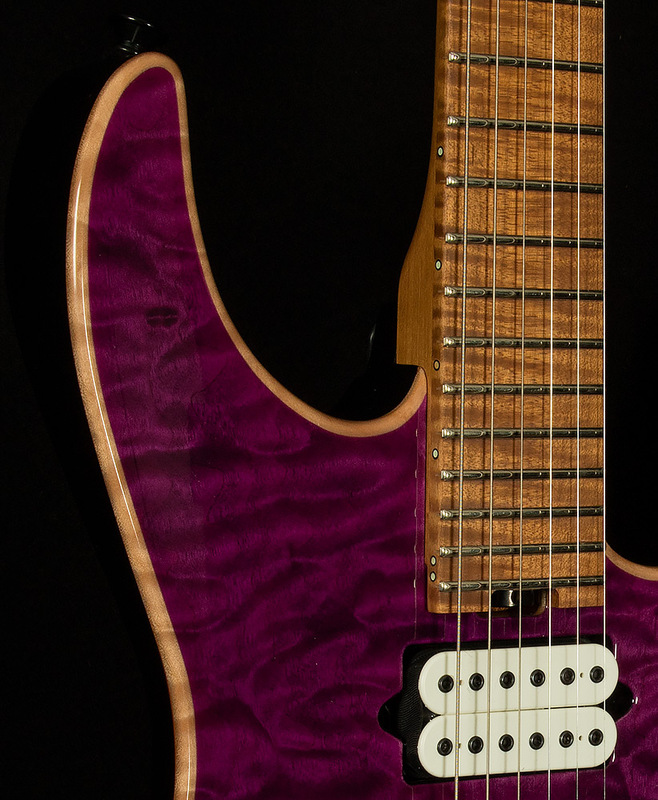 Let's go over the nitty-gritty: it has a gorgeous 1/8" quilted maple top beneath its regal finish, and a mahogany body beneath that. The neck is one piece of caramelized maple, which has a livelier harmonic response than regular maple. It's also more stable, which means that once it has a perfect setup, it will stay perfect for a long time. Speaking of perfect things: the neck! 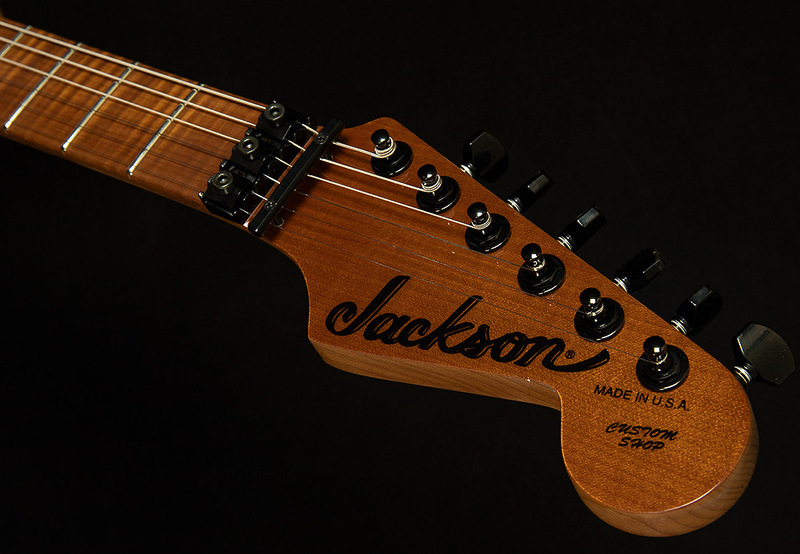 This Jackson Dinky has a slim neck profile with a wide (1.7") nut width and a 12"-16" compound radius. Having this flatter compound radius allows for three things: easy chording low on the neck, easy bending high on the neck, and a lightning-fast low-action. Such a neck allows you to play with so much speed that it may be hazardous to your health! This dangerous Dinky also sounds great thanks to its resonant tonewoods (can't beat maple and mahogany!) and its pair of DiMarzio D-Activator humbuckers. D-Activators are DiMarzio's attempt to develop a pickup with the focus, clarity, and power of an active pickup without the sterility and edginess often associated with active 'buckers. 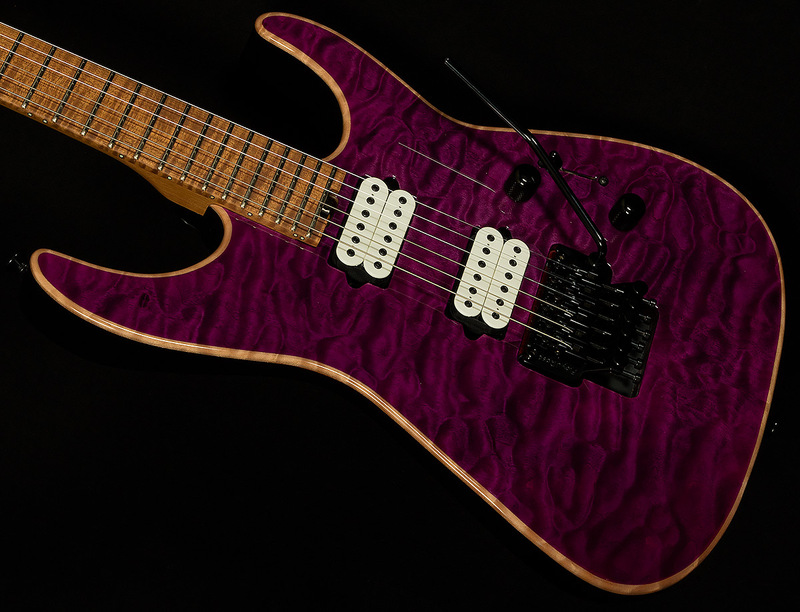 They have succeeded, and they sound awesome in this guitar: rich, muscular, and aggressive without any accompanying harshness or two-dimensionality. 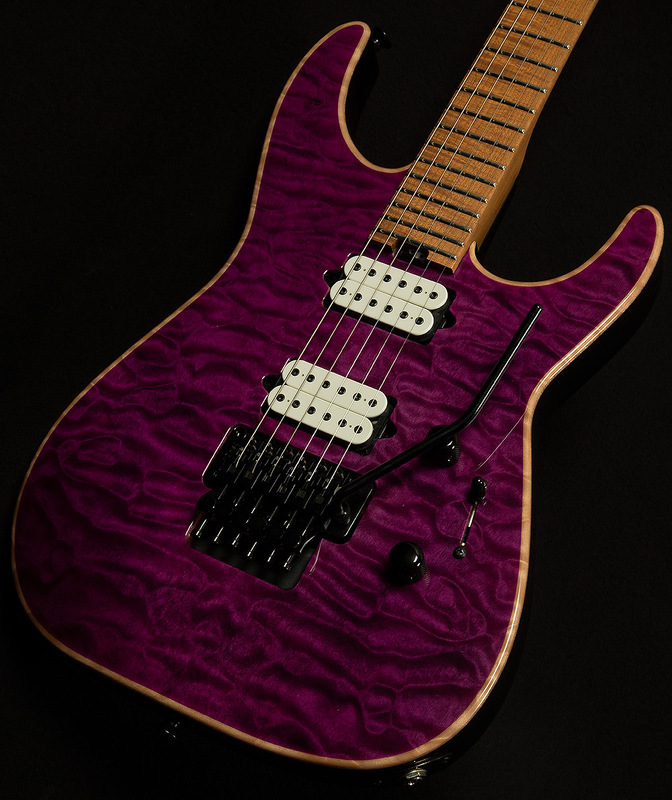 When you add in a few tasteful appointments like maple binding, black hardware, and an original Floyd Rose bridge, you get a veritable tone machine dressed to the nines in resplendent finery. 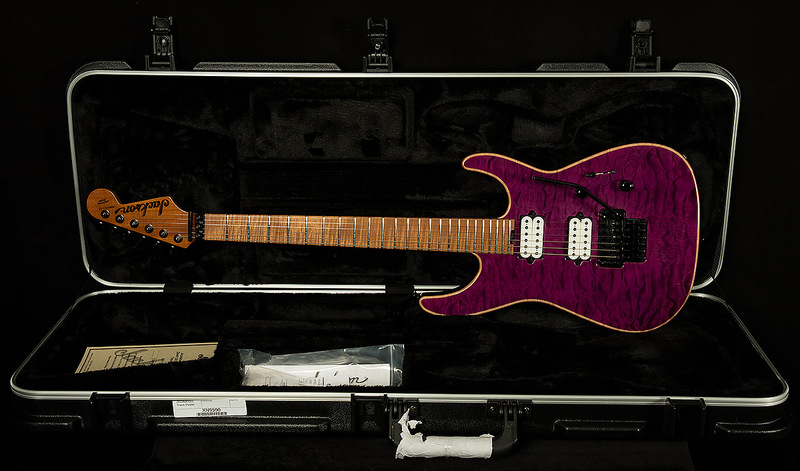 We're proud to offer such a gnarly guitar to our exceptional customers, and we know it will inspire you to reach new heights of shreditude.